Hi all, back again. I thought that each week I would highlight a blog. Today I’m highlighting two of them. One a horse related and the other a quilt related blog. First one is called Stash Manicure. This is a really cool blog about people’s fabric stashes. Each day a different person posts about how they store, use and add to their fabric stash. I’ve only just found this recently found this blog and love it. 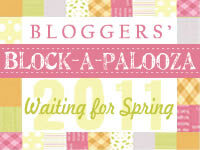 I have a button on the side there that links to this blog or you can also find it in my Blogroll. Second one is called Fugly Horse of the Day. Just a warning, this blog does have a bit of swearing in it, so please if you are sensitive to and offended by profanity, maybe just avoid it. This blog is great. Each day a post is put up about some weird and wonderful person in the horse world. This blog author doesn’t hold back, let me tell you. Some of the posts are just down right hilarious and some are just disturbing. I have a link in my blogroll if anyone is interested. Just be aware of my warning.